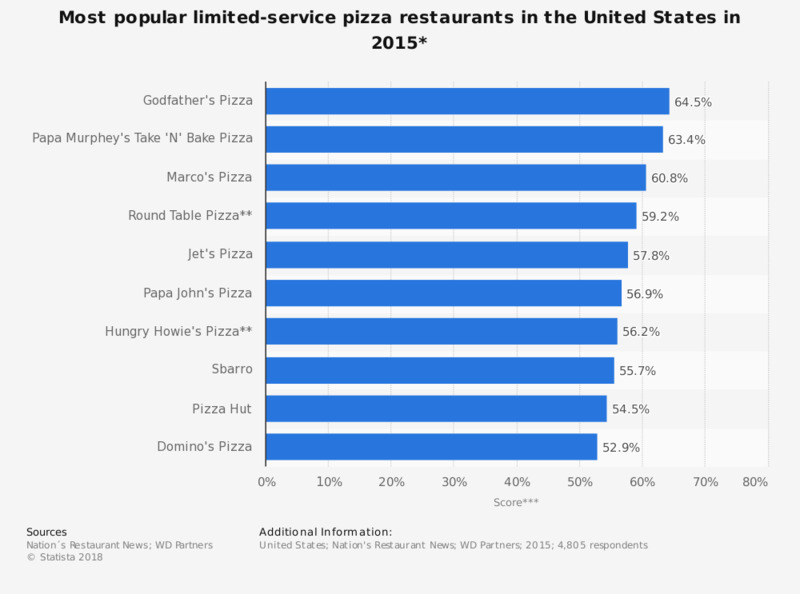 This statistic shows the most popular limited-service pizza restaurants in the United States in 2015. During the survey, Godfather's Pizza ranked first in the pizza segment with an overall score of 64.5 percent. * The Consumer Picks 2016 survey yielded a total of 37,339 customer ratings. Multiple answers were possible. *** Average of attribute scores weighted by attribute importance. Attributes used in this statistic were: atmosphere, cleanliness, craveability, food quality, likelihood to recommend, menu variety, reputation, service and value.